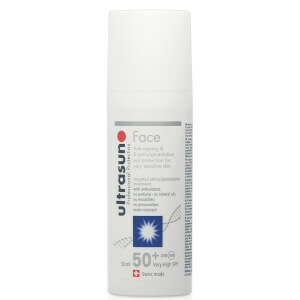 Ultrasun's Face Anti-Ageing Lotion SPF 50+ is a multi-purpose face lotion formulated using the very latest skincare research and advances. 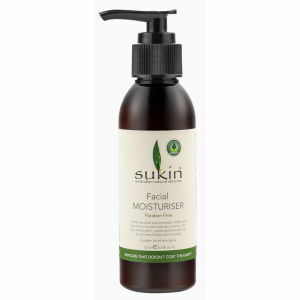 Delivering very high sun protection plus moisturising and anti-ageing care, the water-resistant face cream can be used in place of your daily moisturiser to provide high and long-lasting protection in just one application. 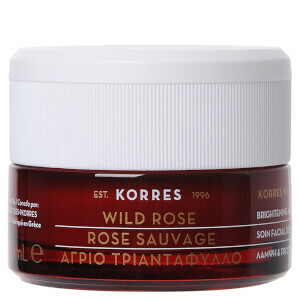 Absorbing quickly into skin, the high protection formula contains a blend of anti-ageing and safeguarding ingredients, including Ectoin (active DNA and cell protection), which is a natural substance proven to prevent UVA-induced premature photo ageing, and GSP-T, a powerful antioxidant complex that helps protect against oxidative stress. 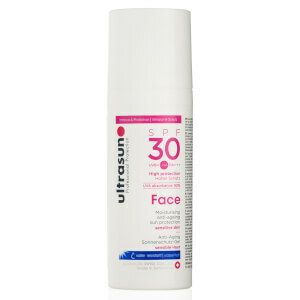 Fortified with very high SPF 50+ sun protection with high level UVA (up to 98%) and UVB protection. Makeup can be applied instantly after it sinks in. Aqua, Caprylic/Capric Triglyceride, Pentylene Glycol, Methylene Bis-Benzotriazolyl Tetramethylbutylphenol (Nano), Titanium Dioxide (Nano), Ethylhexyl Salicylate, Bis-Ethylhexyloxyphenol Methoxyphenyl Triazine, C12-15 Alkyl Benzoate, Diethylamino Hydroxybenzoyl Hexyl Benzoate, Ethylhexyl Triazone, Glycerin, Squalane, Cocoglycerides, Hydrogenated Phosphatidylcholine, C8-22 Alkyl Acrylates/Methacrylic Acid Crosspolymer, Ectoin, Decyl Glucoside, Silica, Vitis Vinifera Seed Extract, Polyacrylate Crosspolymer-6, Propyl Alcohol, Alcohol, Cetyl Phosphate, Xanthan Gum, Propylene Glycol, Lecithin, T-Butyl Alcohol, Tocopheryl Acetate, Ascorbyl Tetraisopalmitate, Tocopherol, Diisopropyl Adipate, Ubiquinone.